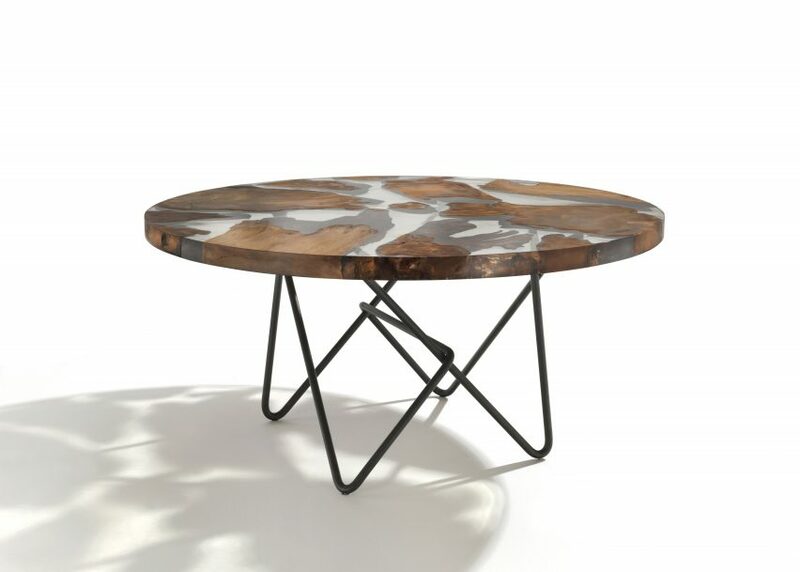 Italian brand Riva 1920's Earth Table features a bent iron base designed by Renzo Piano to symbolise the Twin Towers wreckage (+ slideshow). 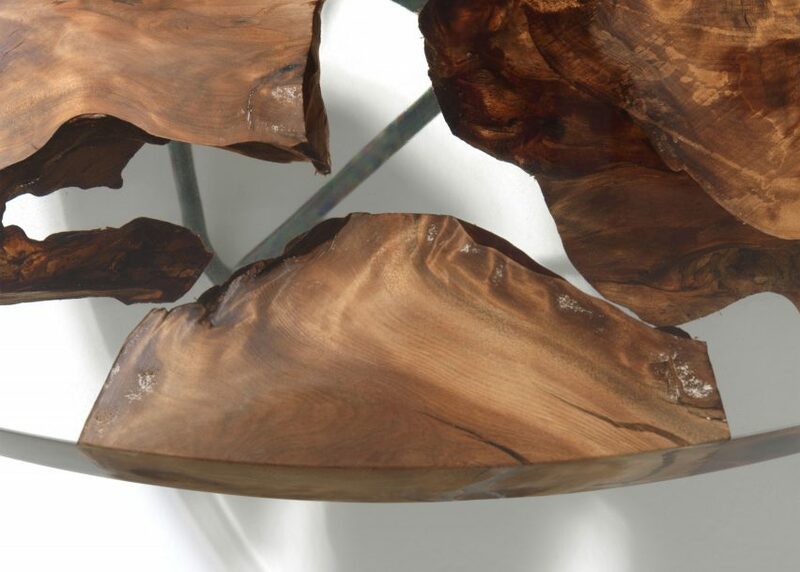 Destined for the World Trade Center site, the table has iron legs that are intended to reference the tangle of reinforcing bars left behind in the rubble of the collapsed Twin Towers. 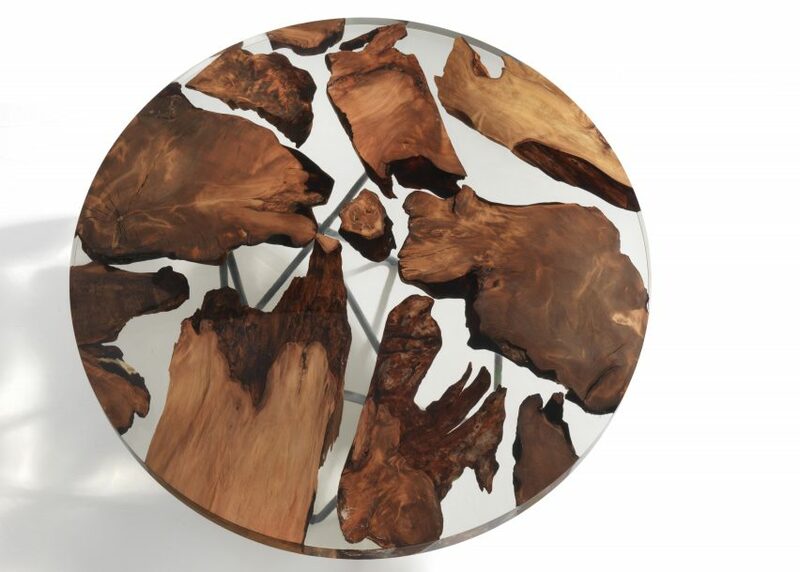 Above the base sits a circular top, formed from pieces of Kauri wood, which is sourced from ancient trees preserved in New Zealand swamps. 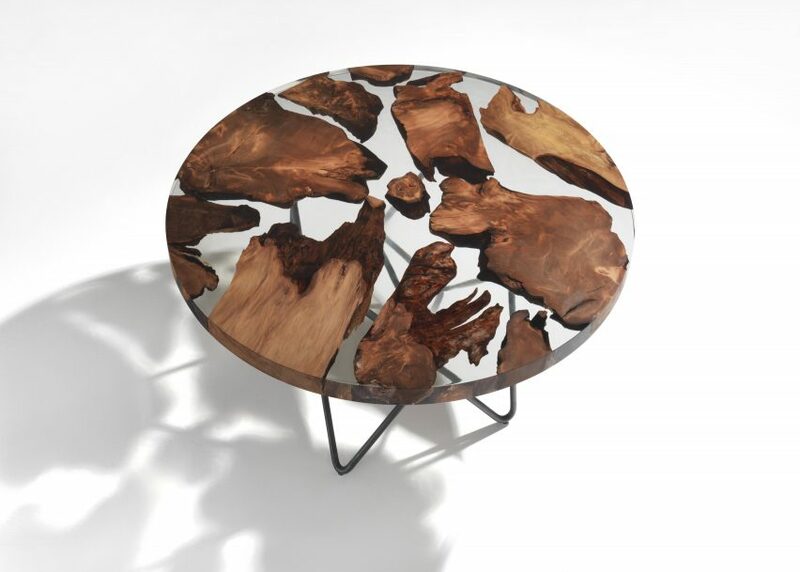 The pieces are suspended in clear resin and designed to resemble a world map. 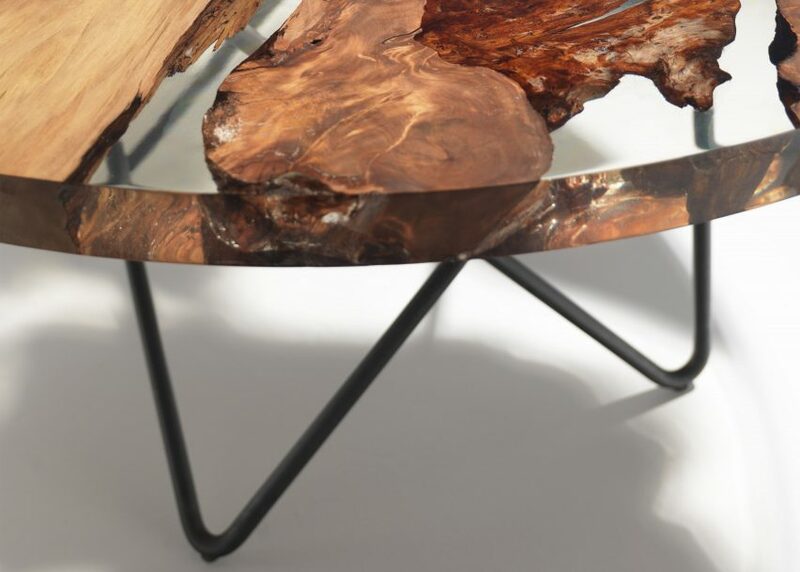 Piano originally designed the twisted base for Riva 1920's Ground Zero...Ground Heroes collection of five tables. The furniture was auctioned to raise money for the children of Italian-American firemen who lost their lives during the attack. "The table is quintessentially a symbol of conviviality, sharing, exchange, aggregation, meeting around a central theme that is the food, which is a universal need," said the brand. 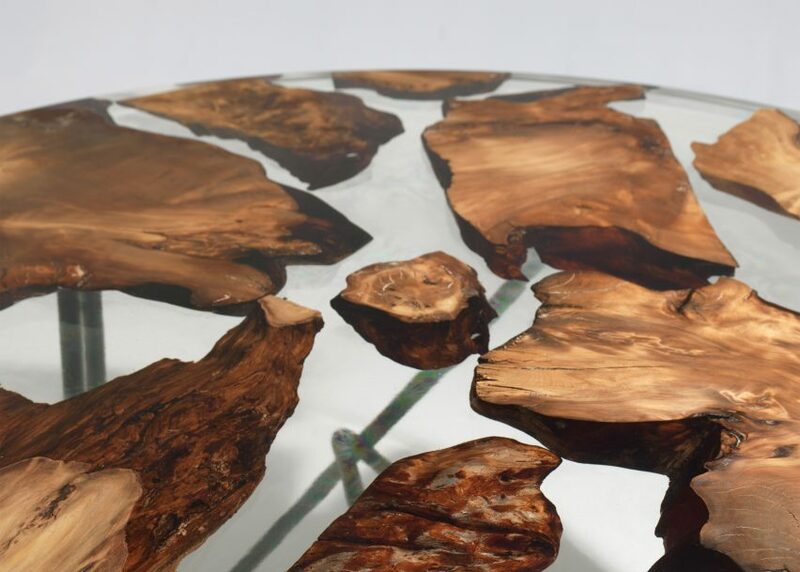 The Earth Table will be installed in the entrance to food store Eataly Downtown New York, which launched as part of the reopening of the Westfield World Trade Center mall this week. "The concept behind the design idea is inspired by the theme of peace and unity of the peoples where there are no prejudices, differences of class or race," added the brand. "The table becomes a silent witness so that the horror is not forgotten and an exemplary manifestation of the ability to express emotions through symbolic details." The mall inhabits Santiago Calatrava's World Trade Center transportation hub. It partially opened at the start of 2016 and occupies the eastern edge of the World Trade Center site. The complex features an elliptical winged pavilion, named the Oculus, which serves as a main concourse, and includes two levels of retail space. An operable skylight stretches along the structure's curved roof, and will be opened on 11 September each year. The hub has drawn a mixed reception, praised for its striking appearance by architecture critic Justin Davidson but described as a "symbol of excess" by the New York Port Authority's executive director Patrick Foye.